Catching an Edge: Our Itinerary! Colin mentioned that I was writing up our little West Coast of America trip Itinerary. Let's just say, I researched all day and got super excited about next week!! So I am going to write our 12 days in America with what we are doing and who we are doing it through. It might give you an idea who to go through when you plan your own trip - but wait up for next weeks posts to see how it all went! 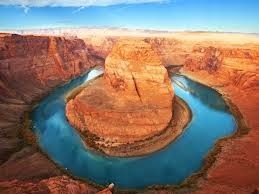 My parents offered us a trip to the Grand Canyon as our Christmas Presents! I know.. best parents ever! We went with Papillon because we read a lot of great reviews online, I do love researching plenty of different places before deciding on one - hoping I made the right decision. Colin was the one who researched Discount Firearms USA. We have both always wanted to shoot a gun at a range and we went with this mob because they have "Shoot for a Cure", where you hire a pink pistol and assault rifle and $10 will be donated to research for Breast Cancer. I am really excited to do this! 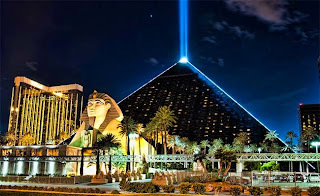 Finally, The Luxor Hotel we chose because, who doesn't want to stay in a pyramid?! Also, they have Criss Angel!! Even better! 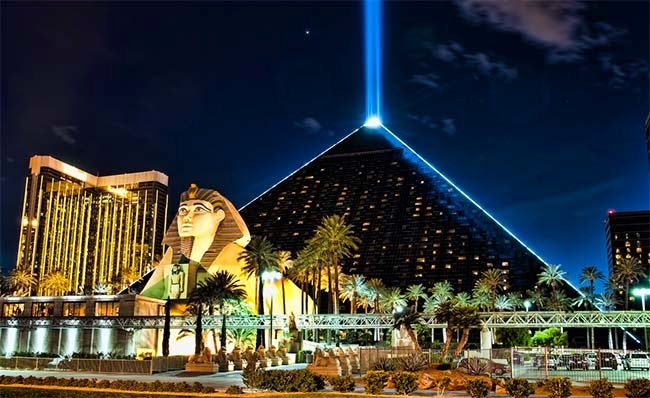 So we got a deal where we see the Criss Angel Believe Performance with the hotel booking. We went through a few places and only just went with the Pod Share yesterday as our LA pad! Basically, you have a square with a double bed, tv, power points, etc. Theres a common room, kitchen and one bathroom but only a maximum of 12 people can stay there at a time. I am excited for this place! It looks so groovy and modern and just awesome! Colin wanted to see the Calgary Flames play, it is actually cheaper for us to see them in LA than it is in their home area! We are both pretty excited to see our first hockey game, got our jerseys ready and all! Yeah, day four is our chillax and go on heaps of rides day! We had to decide between Disneyland and Universal Studios. There's a few reasons why I want to go to Universal Studios, first, theres only two! There are plenty of locations for Disneyland. 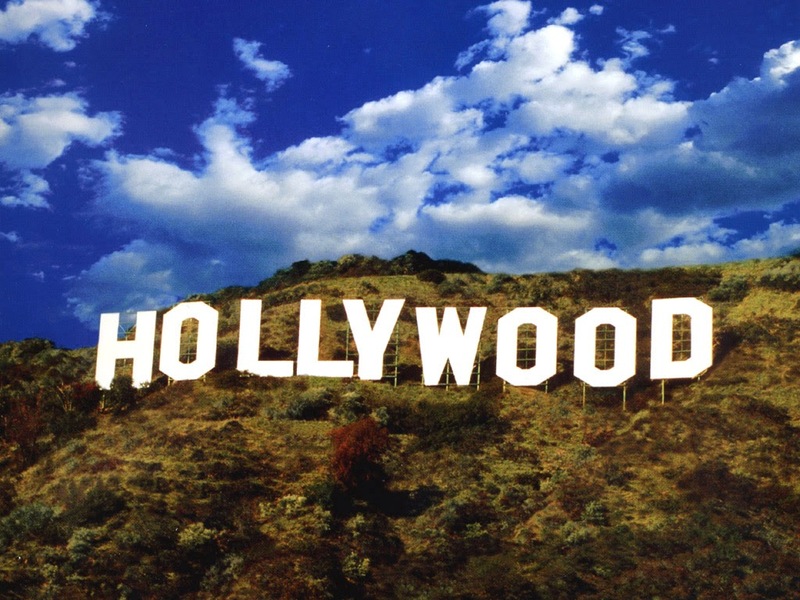 Second, both Colin and I LOVE movies, I actually wanted to be a director when I was younger! So Universal Studios wasn't a very hard decision. 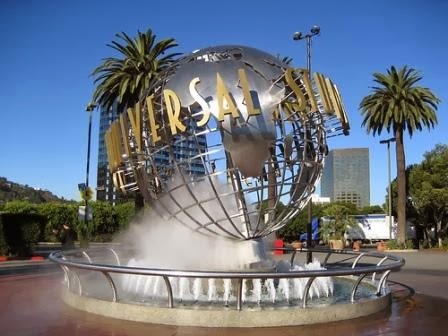 Some of the sight seeing we want to do in LA are seeing the Hollywood sign, Venice Beach, Hollywood walk of fame, Hollywood Boulevard, Santa Monica Pier and just seeing the castle of Disneyland. 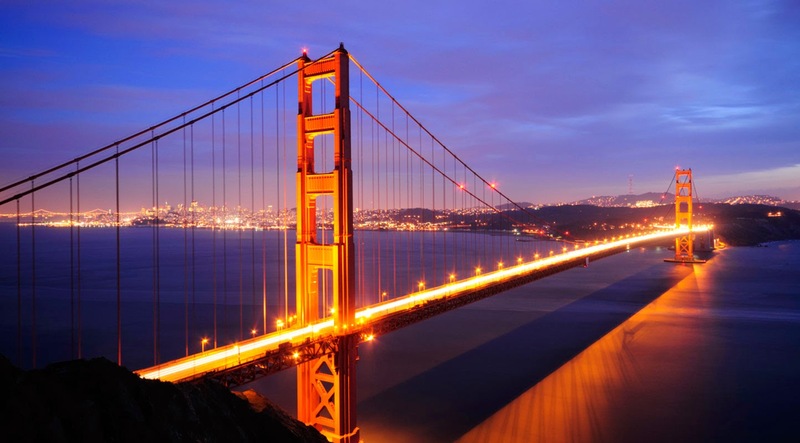 I will have to thank Josh Quittner for his amazing advice - San Francisco: 10 things to do. I definitely recommend reading his article, he has a whole day planned out for you and we wouldn't of known what to do in San Fran if it wasn't for him. Mama's is a little cafe that is highly recommended, both Colin and I LOVE breakfast but it was when I looked on their website when I 100% decided thats where we will go! Some other things Quittner recommended was Coit Tower, the Stair of Telegraph Hill, Hot Cookie from Castro St, Golden Gate Park and Alcatraz. I hope the US government opens their parks up soon, I would hate to miss Alcatraz. 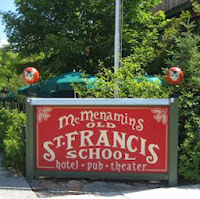 The Old St Francis School is an old theatre that has dinner, shows movies and performances. We thought if we got into Portland early enough, we would go relax there. We, unfortunately won't be in Portland long. So we picked two things we really love to do with some possible extras if we have time. We did some research on the area and thanks to Caryn Brooks and her article Portland: 10 Things to do we found Voodoo and Forest Park. Voodoo Doughnuts was an easy decision!! If anyone knows us, they know Colin and I are dessert eaters (not just after dinner). When Voodoo first opened, they made doughnuts glazed in NyQuil and dusted with Pepto-Bismol. 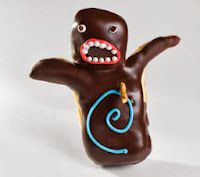 Of course, they aren't allowed to do that anymore, but their avant-garde doughnuts are still something we are very keen on trying! I am also the tree hugger of our duo, so seeing Forest Park is something I really want to do! This isn't exact but gives a rough idea of all the amazing things we want to do in Seattle!! 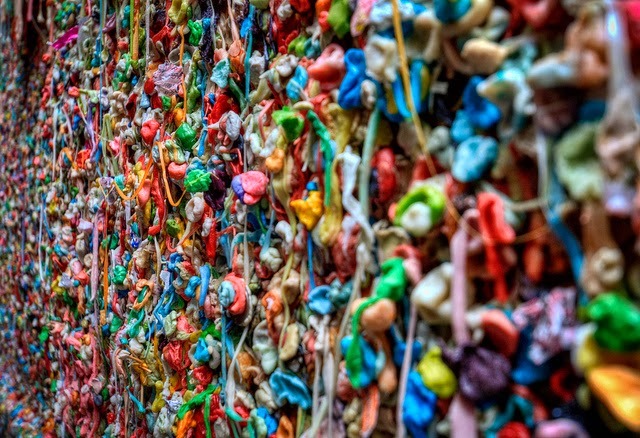 We found these funky things through Laura Ambrey of the Huffington Post - 6 Quirky Things to do in Seattle. I recommend reading her article, it shows a lot of bizarre things Seattle has to offer! 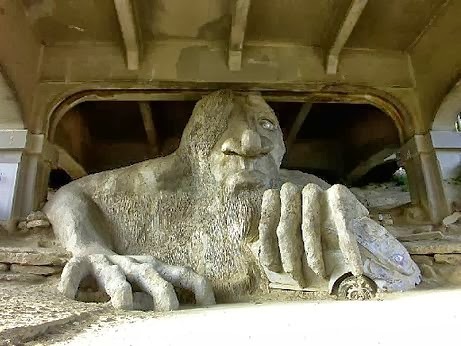 I am super excited to see the Fremont Troll, I remember first seeing it in "10 Things I Hate About You" and thinking to myself how I would love to see it in real life! 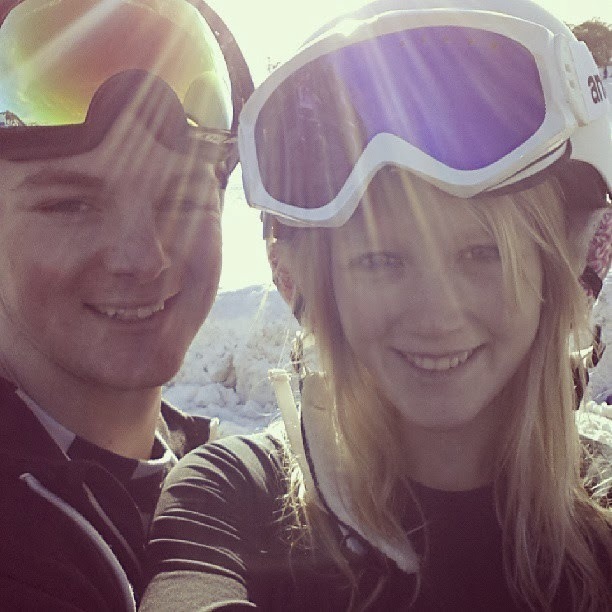 Sad but our last day of our 10 day America trip will be spent travelling to our new adventure starting in Canada! Will definitely let you know how everything goes and try to keep you as updated as possible! We can't believe we leave in FIVE days for America!! So incredibly excited!!!! If you have any advice on our itinerary please do comment and let us know, this is our first time planning a road trip overseas and we want to get it right!